Today is the first day of June and although summer is not “officially” here, it certainly seems as though it is. It’s the time of year that I start thinking about vacation, beaches, and sitting on my deck almost every single day. Ah … summer. I even tend to make a bunch of these cute little jointed mermaid’s this time of year. 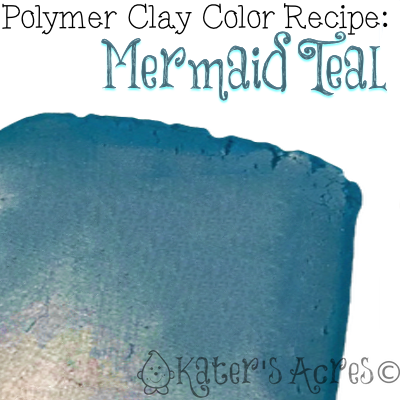 So naturally, I needed to make a convincing Mermaid Teal color that would go with everything. Add 1/4 part additional Purple for more teal color. Add 1/2 part more blue for a deep ocean depth color. Add 1/4 more gold for more metallic sheen.